Seashell Toasting Glasses These two 8" toasting glasses are perfect for weddings with a fun beach theme. 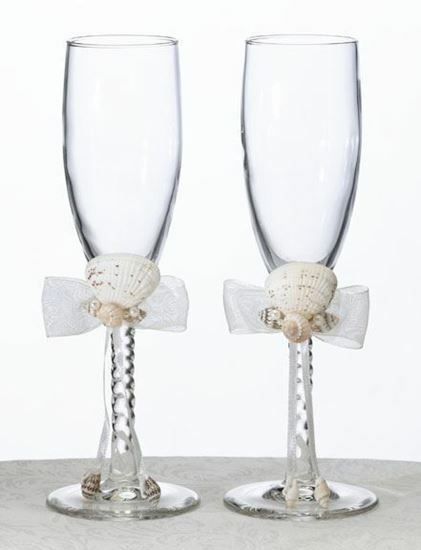 Each glass is decorated with a light ivory sheer bow and cluster of seashells. Decoration is removable. Each glass holds 5.75 oz.